You've just received an email from your dream meeting venue. After sending through an email request for availability and pricing two weeks ago, they've come back to you saying their venue isn't available for the dates you require. You want to tear your hair out in frustration - you could have spent the past two weeks approaching other venues that were available for your desired dates. Instead, you're now stressed and your manager is pressing you to lock something in. There are a few possible options but nothing's set in stone. As a professional meeting planner, you face situations like this all the time. When you're waiting for weeks to receive responses to important questions, it makes things more stressful than necessary. You have to ensure you ask all the relevant questions up front and get the answers you need as quickly as possible. However, there is a way you can improve your meeting planning for corporate events. Are you feeling frustrated by time-consuming processes when planning your corporate meetings? You're not alone! Meeting planning doesn't need to be this time-consuming or frustrating. All the information required to book the right venue for your budget is available - it's just been out of your reach until now. That's why meeting and event planning experts are starting to harness the latest technology to address these problems and streamline the meeting planning process. There are tools available that help meeting planners get the information they need quickly and efficiently. How can the cimeetings platform help meeting planners? The cievents team know exactly what it's like to encounter delays and frustrating interactions when planning meetings. When you're trying to organise a small and simple meeting for your business, you don't want to feel like you're organising the Olympics. We talked to cievents' Kristy MacRae about how revolutionary new platform cimeetings can help solve your problems. This could well be the biggest issue faced by meeting planners organising corporate meetings. The process of planning a meeting needs to begin well in advance, to allow time to research different venues, to contact each one and ask for availability, pricing and other specifics, and to lock things in. This is exactly what cimeetings has been designed to help with, according to Kristy. "These kinds of meetings are quite simple meetings. It might be a one or two day thing, a board meeting or a training seminar. You don't need to spend weeks and weeks planning them," she says. When you're experienced, have been booking meetings for years and are well aware of what your CEO, head of HR, or marketing team wants, delays can be irritating. So what if you were able to look through all the venues available, meet internal stakeholder needs and be able to see live pricing and availability? With the cimeetings platform, you can search and compare among thousands of unique venue options based on different factors: availability, size, room configurations, food and beverage packages, AV equipment/services, entertainment and so on. It's all there in one place, so there's no need to contact each venue separately and wait for them to get back to you with a proposal. The platform uses technology that allows it to access the live information that venues use themselves, so what you're looking at is real-time information. When a venue updates its dinner menu, you'll see that reflected instantly on the platform. The cimeetings platform enables you to access live information about venues, including availability, entertainment, room size and food and beverage packages. "It's got all the information about the venue on there, so you've got how many meeting rooms, what the sizes are and all the menus. You can even get down to choosing cupcakes for morning tea and seeing that they cost $3.50," Kristy points out. "Some of the venues even have a 3D walk-through of the space so you can see the space you're booking." 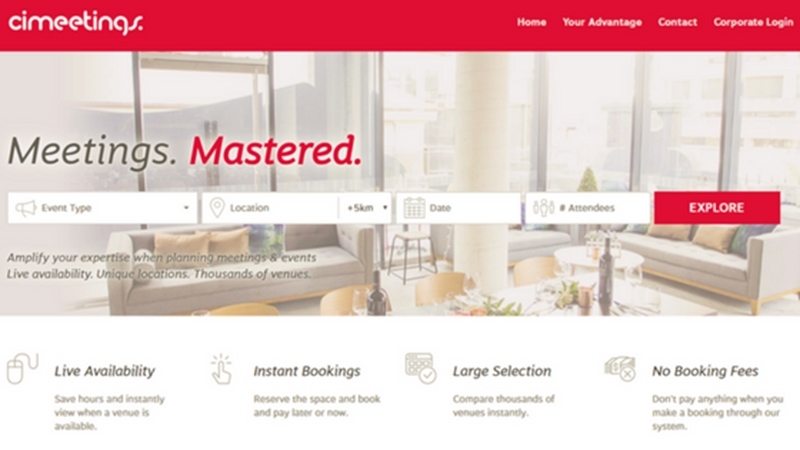 Once you find a venue that you like the look of, you can book it instantly - no need to wait around. It's frustrating when you've found the ideal venue for your company's upcoming meeting, only having to wait weeks until you can book it because you're still finalising logistics and approvals. In the time it takes to do this, you might find the venue gets booked out for the dates you're after and you miss out, having to opt for Plan B or C.
We've addressed this problem with cimeetings by offering you a "book now pay later" option. So you can confirm a venue and finalise everything else before needing to pay for it. You're not hampered by waiting on other people to confirm details - you can go ahead and book instantly. Are you finding that when asked to report on how a meeting went to senior stakeholders, you end up presenting an Excel spreadsheet you've strung together yourself? One of the central problems in the meetings industry is that there is little to no visibility over spending and results. A lack of tracking and measurement makes it difficult to determine whether the meeting was a success or not when your procurement manager asks. cimeetings solves this problem for you by giving you smart reporting tools when you create a corporate account. With a cimeetings corporate account, you'll get access to smart reporting. "A lot of corporates run hundreds if not thousands of meetings a year and have a lot of different people planning these meetings, from EAs, to PAs and HR. So there's no way to track and consolidate that spend," says Kristy. cimeetings puts you in complete control of your event, with transparent, instant reporting on budget, cost reconciliations and analytics from our easy-to-use dashboard. You'll be able to access reporting about all of the meetings you've booked. 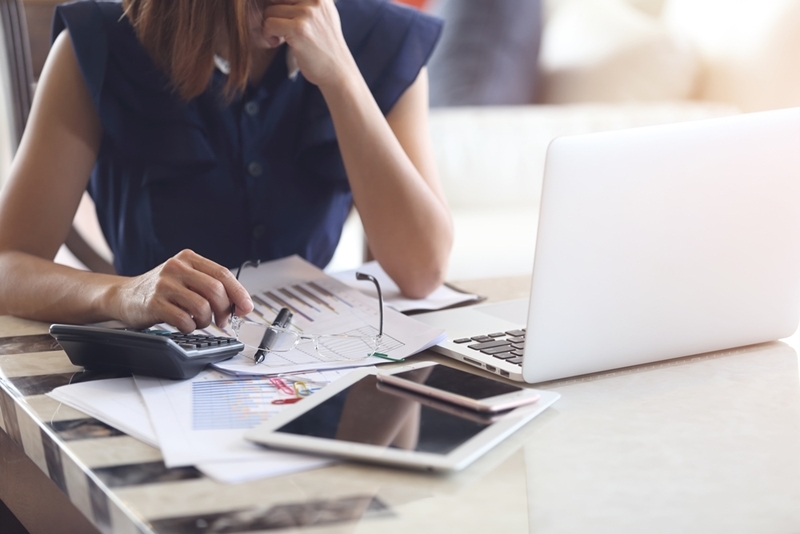 You've no doubt encountered the following problem before: You book directly through a venue and are met later down the track with extra charges that you hadn't factored into your budget. cimeetings offers full transparency with no hidden costs. All the venue costings in the platform are fully inclusive and transparent, so you won't be up for hidden charges or management fees. What you see is what you pay for. "There's nothing hidden or added on later," emphasises Kristy. Say goodbye to hidden fees and charges. With cimeetings, you'll have full transparency. How can you start mastering your meetings? You can browse the cimeetings platform for free at ci-meetings.com.au. However, setting up a corporate account gives you access to the full reporting tools. Full training on the platform is provided by our team so you're supported every step of the way. We want to give you peace of mind and the knowledge that you'll be organising a great event for your team. With cimeetings, you can say goodbye to all the traditional frustrations of meeting planning and start streamlining the process so you can devote more time towards other things. Master your meetings today! Find out more about how cimeetings can improve the meeting planning for your B2B events by getting in touch with us.